Has China changed radically over the past few decades? For it appears that underneath the surface the country is still deeply rooted in tradition. 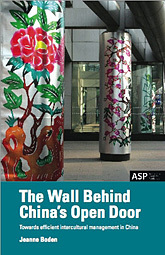 This book guides you to a profound understanding of China: its culture, society, and business. Intercultural harmony is our goal. Insight is a necessary first step. Yining Zhao PhD MBA, Strategy Management, Pfizer Inc.